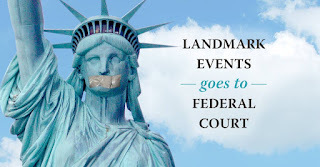 The Federal Government (in the form of the National Park Service) is attempting to abridge this Christian tour company's freedom to guide tours through historic sites in this country. This, my friends, is threatening the right of freedom of speech. If we are fined for guiding tours in federal parks (which are supposed to belong to the people! ), it is only a matter of time before we cannot speak on any federal property...and from there, to any private property. Please read the article found in the link below.